From grenades and Fireworks Distributors, to missiles and dynamite, Explosives come in a variety of forms. To legally carry them on a commercial basis over certain thresholds, a driver will need an ADR training certificate displaying Class 1. 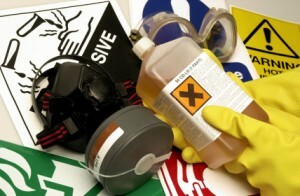 At Connection Couriers Specialist Services we have been providing Class 1 Explosive training for several years. Our training expertise stems from our years of operational experience in carrying explosives for a variety of customers. Like the Class 7 Radioactive module, the Class 1 ADR Explosives module is a specialized one-day course which is covered in more detail than the other hazard classes. There are significant and obvious reasons for this due to the very nature of explosives themselves and the levels of damage that can be caused should they be initiated. Our hands-on operational knowledge complements our informative course and above all provides you with the skills to transport explosives safely and securely. Whether you are an existing ADR-trained driver looking to add Class 1 Explosives to your licence via a one-day course or an un-trained driver starting from scratch with ADR Core and Class 1, we can help you. We are a DfT-approved independent training provider for all classes of dangerous goods, regularly audited and verified by the SQA (Scottish Qualifications Authority). We also regularly carry explosives and have large contracts for fireworks distribution and radioactive transport. Connection Couriers are a Grade 1 Independent Training Provider for ADR Training and CPC Training To attend a training course please complete the contact form in the footer, indicating relevant dates and one of our experienced training advisers will contact you. 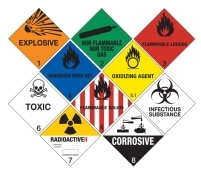 Connection Couriers is qualified and approved to transport all 9 classes of dangerous goods, including Class 1 Explosives and Class 7 Radioactive material. Connection Couriers are the premier dangerous goods transport carriers, including sameday,overnight and trunking for all classes of dangerous goods. Our service is second to none for dangerous goods transport and all our operatives are fully trained as per ADR Regulations. Connection Couriers – UK leaders in transport of ALL classes of Dangerous Goods, utilising their 7 UK depots to ensure national conformity to regulations. Connection Couriers are also an approved Independent Training Provider for ADR Training (all classes) and CPC training. Connection Couriers are a leader in the haulage and transport sector, consequently we can offer courses that are highly practical and relevant for your drivers since our experience is based on the real world rather than the classroom.